Choose your favourite turtle and get on the street of the city to kill Foot Clan members and other robots. Save April who was kidnapped in your absence! Take your time and choose a special ability that can be used when the ooze bar is full! April was kidnapped and nobody can ever save her except her teenage mutant ninja turtles friends! Choose the turtle you like most as long as his special ability. 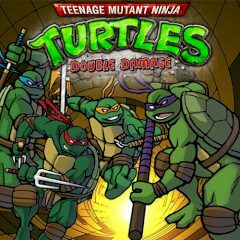 You can summon one of the turtle squad to help, a pizza guy, your master or even Casey Jones that will smash everything around. Every level you are free to make a new choice, so the game is always different to you!